Hunt is the Eugen Weber Professor of Modern European History at the University of California, Los Angeles. Her 2007 work, Inventing Human Rights, has been heralded as the most comprehensive analysis of the history of human rights. 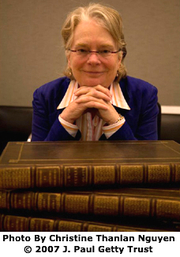 She served as president of the American Historical Association in 2002. Lynn Hunt is currently considered a "single author." If one or more works are by a distinct, homonymous authors, go ahead and split the author. Lynn Hunt is composed of 6 names. You can examine and separate out names.